I think we all can agree that we love Holiday leftovers!! 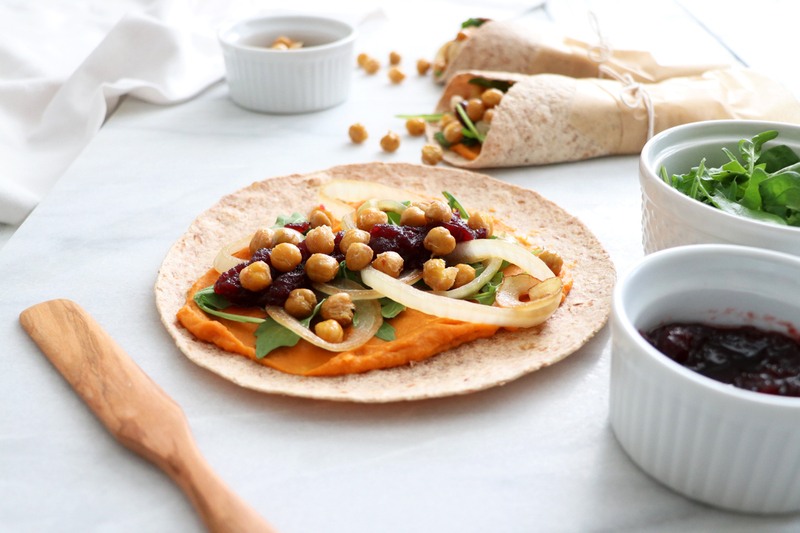 For our December video the Alvarado Street Bakery YouTube Channel I shared how to take leftovers, such as mashed sweet potatoes & cranberry sauce, and make a delicious wrap! I love Alvarado Street Bakery’s Sprouted & USDA Organic Tortillas because they taste great (obviously important!) but they also roll up really easily. If you’ve been enjoying “healthier” tortillas for years like me you know that some healthier tortillas are dry & crack when they roll up! 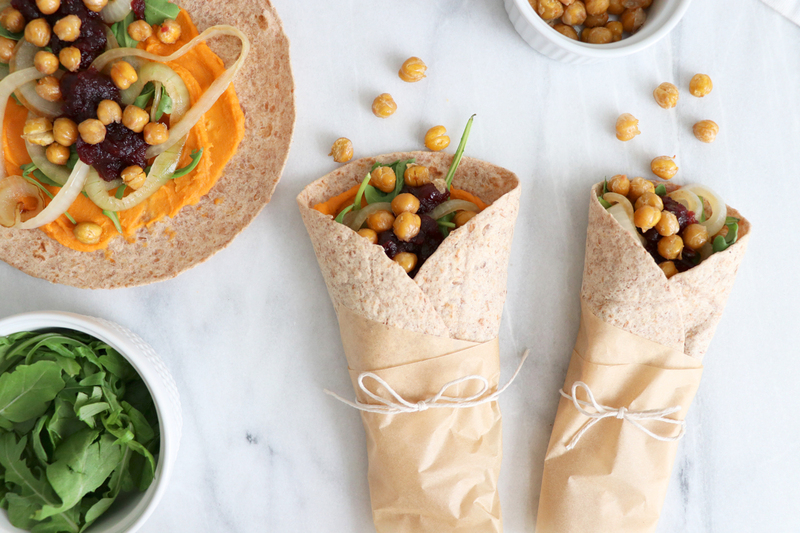 Alvarado Street Bakery Tortillas as not like the others… plus they have protein, fiber & are made with sprouted wheat! 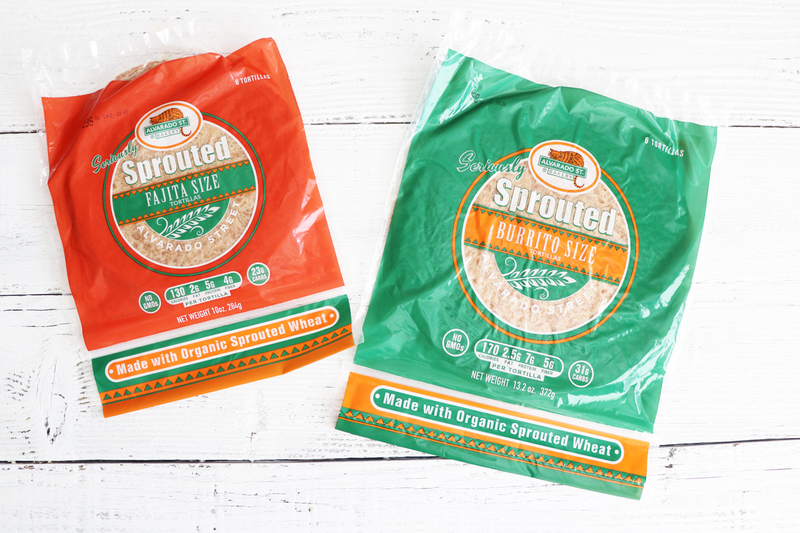 The benefits of consuming sprouted wheat, versus traditional wheat flour, is that sprouted grains can be easier to digest & it’s easier to absorb some of the nutrients! Enjoy our latest video below featuring these delicious tortillas & don’t forget to subscribe to the Alvarado Street Bakery YouTube channel so you never miss one of our videos! It’s free to subscribe and you can do it right now by clicking right here! Preheat the oven to 425 degrees Fahrenheit. 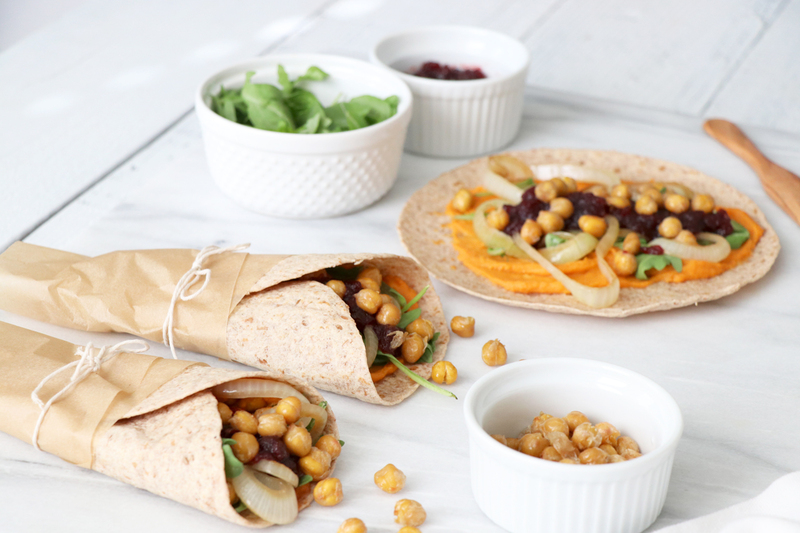 Drain and rinse the can of chickpeas and add to a baking sheet with 1 teaspoon of coconut oil and a pinch of sea salt, roast in the oven for 20 minutes. Slice ½ a small sweet onion into ¼ thick rounds and saute in a pan on medium heat with a teaspoon of coconut oil for about 10 minutes, until they start to turn translucent and caramelize. 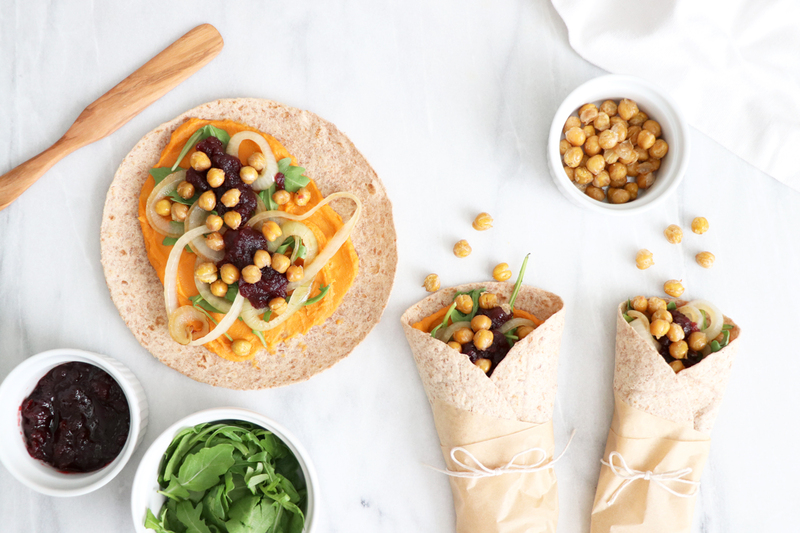 Spread mashed sweet potato on the burrito wraps and warm in the oven for 3 minutes. 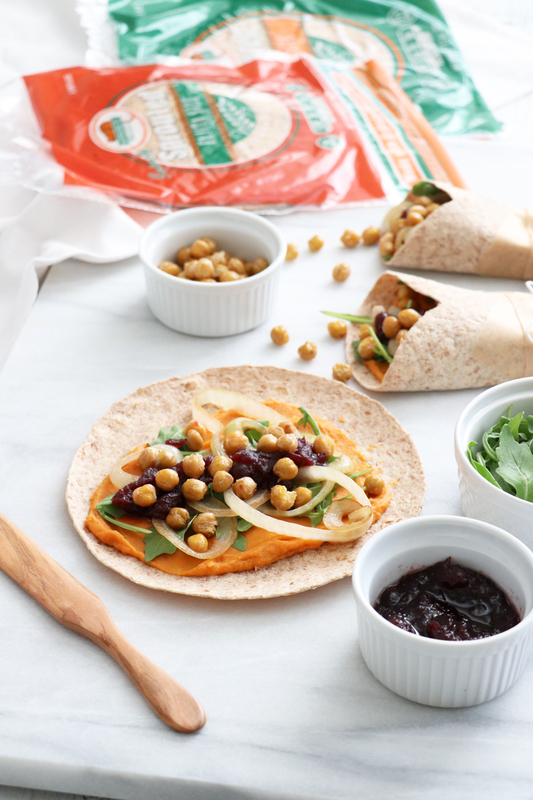 Top with arugula, caramelized onions, cranberry sauce and crispy chickpeas and roll into a delicious holiday leftovers burrito! Add about 2 cups of fresh or frozen cranberries into a saucepan with 1/2 cup sugar, 2 tablespoons of fresh squeezed orange juice and a ½ teaspoon of orange zest; cook over low heat, stirring occasionally, until the sugar dissolves and the cranberries are soft, about 10-15 minutes. In a small pot boil 2 quarts of water. Peel the sweet potato and chop into cubes about 1 inch in size, add the sweet potato cubes and a pinch of sea salt to the small pot and boil for 10 minutes. Once the cubes are soft, drain the water and add the cubes into a blender with 2 cloves of roasted garlic and a pinch of sea salt and blend on high, until smooth.